Wikimedia Commons has media related to 1237 . Year 1237 ( MCCXXXVII ) was a common year starting on Thursday (link will display the full calendar) of the Julian calendar. Elbląg is a city in northern Poland on the eastern edge of the Żuławy region with 121,191 inhabitants. It is the capital of Elbląg County and has been assigned to the Warmian-Masurian Voivodeship. Previously it was the capital of Elbląg Voivodeship (1975–1998) and a county seat within Gdańsk Voivodeship (1945–1975). Bohemond VI, also known as Bohemond the Fair, was the Prince of Antioch and Count of Tripoli from 1251 until his death. He ruled while Antioch was caught between the warring Mongol Empire and Mamluk Sultanate. In 1268 Antioch was captured by the Mamluks, and he was thenceforth a prince in exile. He was succeeded by his son Bohemond VII, nominal prince of Antioch and count of Tripoli. Agnes of Dampierre was Lady of Bourbon and heiress of all Bourbon estates. She was the daughter of Archambaud IX de Dampierre and Yolande I, Countess of Nevers. She married John of Burgundy, the son of Hugh IV, Duke of Burgundy. 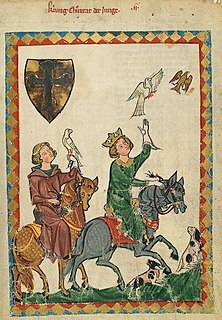 Her daughter, Beatrix of Bourbon, married Robert, Count of Clermont in 1272 and their eldest son Louis I, le Boiteux became the first Duke of Bourbon. Joan, Lady of Wales and Lady of Snowdon, also known by her Welsh name of Siwan, was the illegitimate daughter of King John of England and wife of Llywelyn the Great, Prince of Wales and Gwynedd, effective ruler of most of Wales. The Order of Brothers of the German House of Saint Mary in Jerusalem, commonly the Teutonic Order, is a Catholic religious order founded as a military order c. 1190 in Acre, Kingdom of Jerusalem. The 1090s was a decade of the Julian Calendar which began on January 1, 1090, and ended on December 31, 1099. The 1220s was a decade of the Julian Calendar which began on January 1, 1220, and ended on December 31, 1229. The 1230s was a decade of the Julian Calendar which began on January 1, 1230, and ended on December 31, 1239. The 1240s was a decade of the Julian Calendar which began on January 1, 1240, and ended on December 31, 1249. Year 1254 (MCCLIV) was a common year starting on Thursday of the Julian calendar. Year 1268 (MCCLXVIII) was a leap year starting on Sunday of the Julian calendar. Year 1279 A.D (MCCLXXIX) was a common year starting on Sunday of the Julian calendar. Year 1283 (MCCLXXXIII) was a common year starting on Friday of the Julian calendar. The Livonian campaign against Rus' was a military campaign that lasted from 1240 to 1242, and was carried out by the Teutonic Knights of the Livonian Order with the aim to conquer the lands of Pskov and Novgorod and convert them to Catholicism.